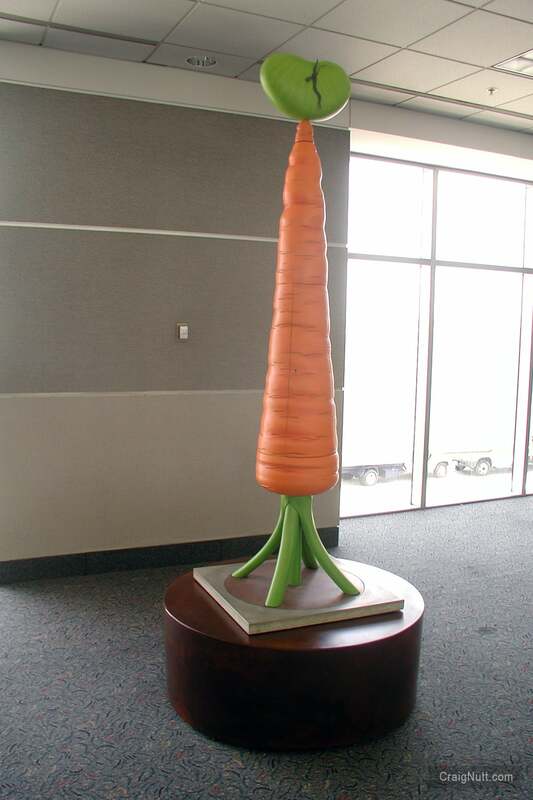 Several years after the Corncorde was installed in the airport, I was invited to create a second piece for the same departure gate. I thought it odd that one rarely sees a clock in an airport, a place that is ruled by time and schedules. Air traffic control towers and radar dishes invited a new take on the grandfather's clock. The title Imperator is a title given to Roman rulers and conquering generals and refers to the primacy of time in ruling the activities in an airport. Imperator also happens to be a type of long carrot. 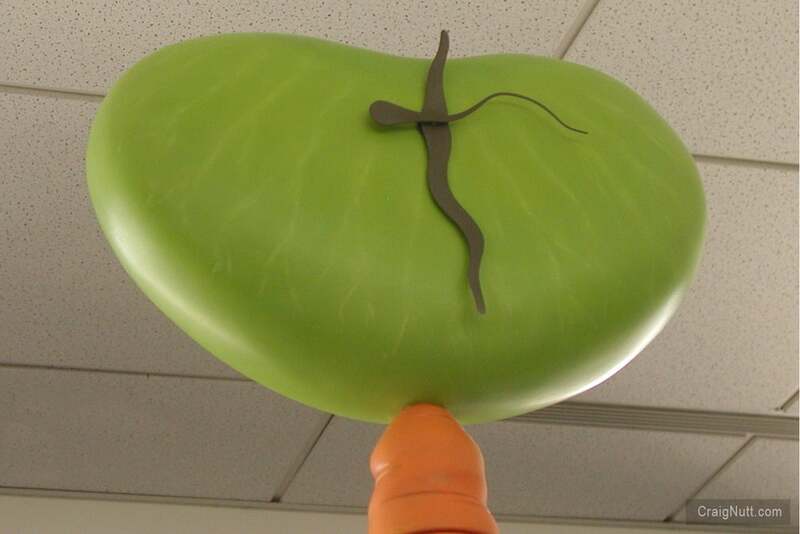 The clockworks are in a rotating butterbean perched on the tip of the carrot. Imperator can be seen at gate E-16. If you take the tram to Concourse E, go up the escalator and walk straight ahead past the long corridors on the right and left. Imperator and its companion Corncorde will be straight ahead on your left. More information on the artworks in Concourse E.